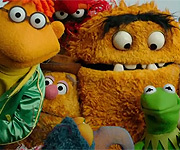 Video: Ben Folds Five and the Fraggles sing "Do It Anyway"
Discussion in 'Fraggle Rock' started by Loren, Sep 17, 2012. Great fun. Rather than trying to shoehorn the Fraggles into a song that doesn't fit, this song has a Fraggle-y vibe, perfect for the gang. Sure, I'd like to see more Fraggle antics, but, well, Ben Folds is footing the bill, so the focus is on him. Each Fraggle gets to do something in character, making this a nice, gentle reintroduction for them. More to come, I hope! Seeing this so soon after the death of Jerry Nelson makes me smile. He wasn't precious about the characters and said he didn't mind people taking over his characters. Yet all of us fans think of Jerry when we see Gobo, and that's how it should be. The greats should be remembered, and the magic should live on. Hooray, Fraggles! bouncingbabyfig, Twisted Tails, Hubert and 5 others like this. I'm not even that big a Fraggle fan and this still made me smile and want to rock out. Bravo all! I headbanged SO hard. That was INCREDIBLE!! And I second that the puppeteering was astounding, no matter who did each character. Fraggles Forever, man. Fraggles Forever. bouncingbabyfig, Twisted Tails, Bliffenstimmers and 1 other person like this. Well, Plaid Fraggle, I finally saw the video on YouTube and it was great. The headbanging? That is what us silly creatures do nowadays. Has this generation gone so fast or what? I cannot for the 30th anniversary to happen very soon. Hey guys, it just occured to me! Gobo's birthday is sometime in Autumn. It's true, the fact is on the episode, 'Space Frog Follies'. Speaking of frogs, it's Frog Day! Happy Frog Day everyone! Wait a minute! Gobo's birthday is in Autumn and space frogs have Frog Day. Hmmm! Very peculiar I might add. I know! Weird... Hey, spread the word, man! It isn't just for T-shirts! I gotta tell my sisters 'bout this! You mean Jerry Nelson, right? Jerry Juhl passed away in like 2005. No, I know that Jerry Juhl passed away on September 26, 2005. That 9/26 was yesterday. I read it on an earlier post from 'Remembering Jerry Nelson'. Oh, I'm sorry. I get what you were saying now. Any word on who the Muppet performers are? Dave Goelz and Karen Prell both there, but I don't know about any of the others. Two little things I loved: Wembley sitting at the drums and when Boober pulled out his washboard. Incredible! I loved those parts so much! Wembley's was so adorable, and Boober's: Hilarious! Haha, I had a good laugh... And a great time watching it! 'Twas an absolutely amazing (And a bit unexpected, I might add) video! Hi everyone, I didn't get a change to read the other posts but I was wondering, has Jerry Nelson perform Gobo in this or was this after his passing? I personally think Karen Prell was the only original Muppeteer that worked the shoot and Dave Golez just did a brief audio recording for Traveling Matt. Wasn't Boober's famous quote at the end of the video just taken from the original opening and just dubbed in later? I'm not sure if Steve Whitmire or Kathren Mullan was apart of the filming or not, it's hard to tell because none of them speak well except for Red in the making of feature. I really like the song, I ended up buying the mp3 on iTunes. The music has a very Fraggle Rock folk rock tune to it. The piano and Bass especially. For some reason, the music reminds me of this song. I also wanted to add that, well personally I really liked the opening but as soon as the Fraggles got up to the recording studio, the music video just seems to stay there. But that's just my opinion, personally I would have liked it more if the band where trying to steel Raddishes from the Gorgs and Junoir had his club or them talking to the trash heap in the begaining and gave then advice to "Do it anyway" and start it up like that or something. But of course the problem would be finding a replacement for Jerry. But even have Doc and Sprocket there and have the band be Fraggle size, eating Doozer sticks and getting the Doozer's angry for doing so, you know what I mean? More of a visual music video, but once again it's just my opinion. PanthraDion, Plaid Fraggle and FrackleFan2012 like this. I'm sure that the song not actually being written for the purpose of a Fraggle Rock video/comeback had a lot to do with their mere inclusion and inside joke things (like the washboard! Haha). I mean this is the band's first album in thirteen years, I think, so they might not have wanted the Fraggles to take over too much, but just provide that sweet, sweet nostalgia and a unique "awesome factor" to the video. 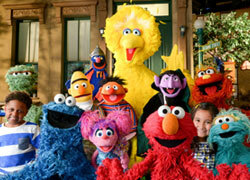 The reason it means so much to us at Muppet Central is because, well...FRAGGLES!! Ben Folds Five talks Fraggles and their new album at NYC Comic Con... Watch Fraggle artist David Peterson draw Fraggle caricatures for the members of Ben Folds Five. FrackleFan2012, theSHE124, DrDientes and 3 others like this. Oh wow. I want a personalized Fraggle. I've always liked Ben Folds, but anyone who says they're starstruck around any sort of Muppet always goes up a few notches in my esteem. Plaid Fraggle, DrDientes and Cindy like this. I never heard of this band until I saw this music video. I usually stay away from any new music because I'm very old school. But I really like the music in this, it's very Fraggle Rock folk rock like but slightly alternative which I can be flexible with at times if there's a good melody going. Colors: Green hair, blue fur, and skin is a very high tint of cyan/blue. For Hapsy, I wanted to emphasize on the part of me that is into paranormal mysteries--ever since I first watched Scooby-Doo at 3, 4 years old maybe. She isn't in the Tribe of Unity OR the Great Hall! Rather, she lives in a place called Sprayberry Hall, an underground place with a river pooling into Fraggle Lake where all the sprayberry bushes grow nearby. She isn't well liked at her home because they're always afraid of the monsters she keeps catching! That's all I got 'bout her now. Let me know if you guys wanna see a picture of Hapsy. I'm not sure how "old school" you go, but I would think BFF would describe themselves a little that way as well. They come from the thought where you actually write/play music and not manufacture it in the studio. I'm a fan. Love this clip, btw. They seem to genuinely respect Fraggles/Henson and aren't afraid to share the spotlight with them. That's a class act right there.